Microsoft is evidently not yet finished porting over key components like Cortana and Outlook to the iPhone. The software company is now setting its eyes on the famous Word Flow keyboard from Windows Phones too as the next port to Apple’s dominate smartphone. Word Flow keyboard is far more accurate and easy to use than the default iOS keyboard and many Android alternatives, but you’ve had to use Windows Phone to take advantage of it so far. 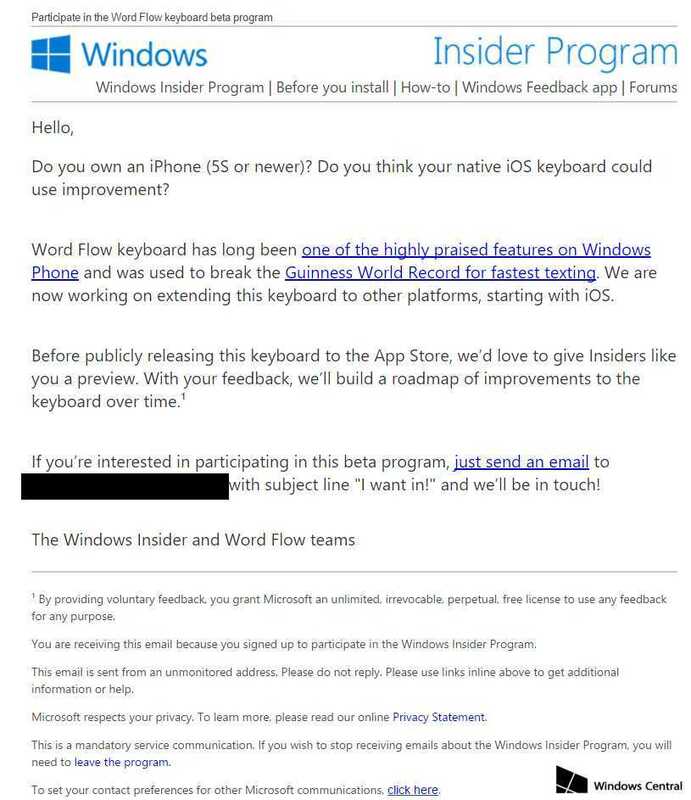 In an email to some Windows Insider testers shows that the Microsoft is looking for iPhone users to trial the Word Flow keyboard. It’s not clear when Word Flow will be released publicly on iOS, but Microsoft is already ready to test it more broadly so it will likely arrive in the coming months. Microsoft’s Windows Phone version of Word Flow includes autocorrect, suggestions, gestures, and the ability to swipe letters (like Swype) to type out words. Along with Cortana one more unique parts of Microsoft’s mobile operating system, Word Flow keyboard is going to move features over to rival platforms. Microsoft has made it clear that the company is focused on experiences across multiple platforms, rather than keeping features like Word Flow and Cortana locked to its struggling mobile software.